Join us for the 14th Annual DAY AT THE FARM! Delta Farmland and Wildlife Trust (DF&WT) is arranging the 14th Annual “Day at the Farm” community event to be held on September 7th, 2019. This is one of the most exciting agricultural fairs in the Lower Mainland because it provides visitors the opportunity to connect with real farms, real farmers, and real food. 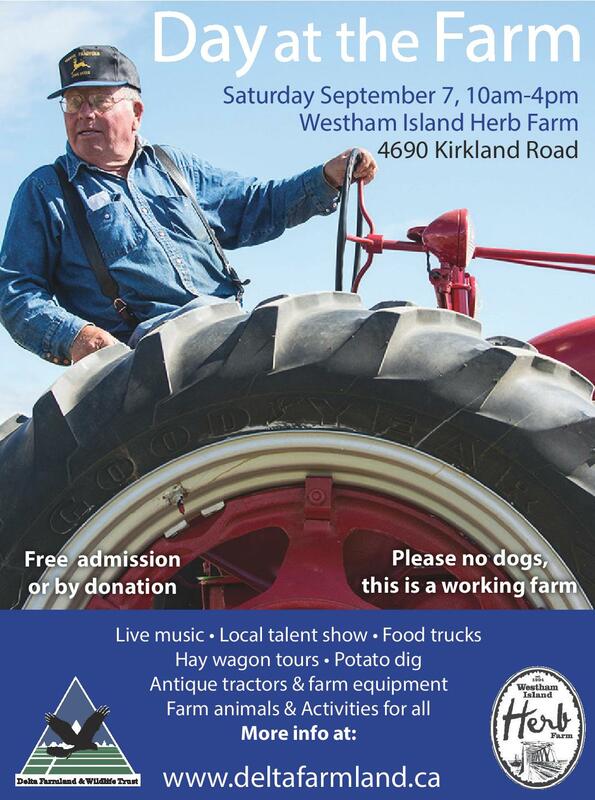 The event takes place at Westham Island Herb Farm. FREE Admission or by donation! **Bring non-perishable food items to donate to the local food bank! Farm Credit Canada Staff and volunteers will be collecting at event entrances!